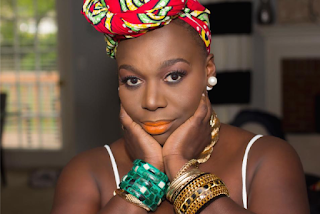 It's been a long time since black audiences have had an actual variety of shows led by an entirely black cast or lead black actors to choose from. It feels like a 90’s resurgence right now and boy, does it feel great! These two shows are off to a great start and they are MUST SEE TV. 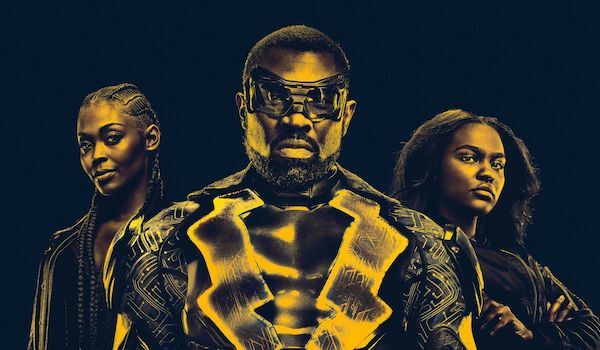 Confession: I know nothing about Marvel and DC Comics and the superheroes in them so I wasn’t sure I would be lost watching CW’s Black Lightning which premiered Tuesday night. I know die-hard fans who know everything about these fictional subspecies of humans born with superhuman abilities known as metahumans. Black Lightning is a metahuman created in 1977 by DC Comics. I settled in with 2.31 million other viewers and was thrown into the complex lives of the Pierce family. Jefferson Pierce (Cress Williams and yes he played our beloved Scooter on Living Single), is the principal of Garfield High and the brother who would do anything to invest and protect the kids in the neighborhood. His daughters Anissa (Nafessa Williams) and Jennifer (China Anne McClain - remember her from Daddy’s Little Girls?) are night and day in personalities. Anissa is woke and proudly protesting injustice while fiercely protecting her little sister and working as a teacher at Garfield. Jennifer is sick of being compared to her father and sister and doesn’t want to be the goody-two-shoes of the family so she makes questionable teenage choices with huge consequences. The premiere episode of Black Lightning gave us protesting, driving while black blues, gang violence, sibling strife, and drama free co-parenting between Jefferson and his ex-wife Lynn (Christine Adams). Jefferson Pierce happily put the superpowers of Black Lightning to bed a decade ago as a promise to Lynn but must now resurrect him to save his girls and keep his neighborhood from harm. 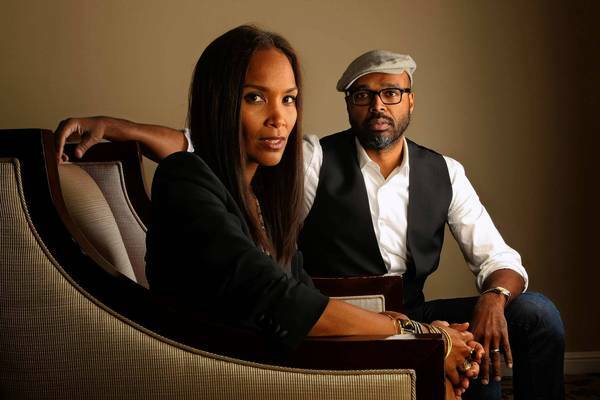 Husband and wife duo Salim Akil and Mara Brock Akil (The Game, Being Mary Jane) created Black Lightning and it airs on Tuesday nights at 9 PM on The CW. 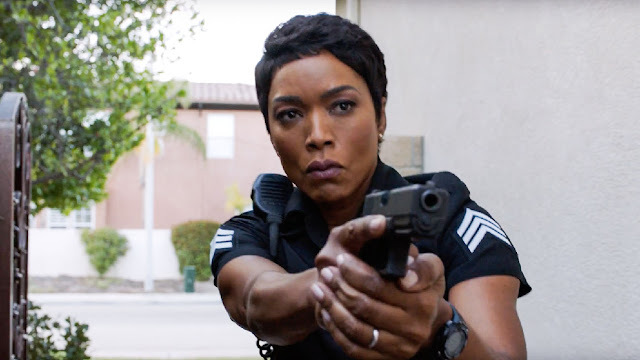 I only needed one name to tune into Fox’s 9-1-1 when it premiered on January 3rd; Angela Bassett. Not just any Angela Bassett, but Waiting to Exhale Bernadine Harris hair Angela Bassett. 9-1-1 explores the lives and careers of first responders; police officers, paramedics and firefighters, and 911 phone operators. These first responders put their lives on the line every day to save others and draws from real-life, high-pressure experiences. So far we have seen a young man thrown from a rollercoaster ride, a baby rescued from being flushed down a toilet, a yellow python wrapped around its owners neck, and how first responders deal with medical emergencies of their own. Angela Bassett plays Athena Grant, LAPD patrol sergeant keeping her head above water as her marriage to Michael (Rockmond Dunbar) is ending. 9-1-1 focuses on the firehouse where Athena’s friend Henrietta “Hen” Wilson (Aisha Hinds, who you may remember doing a fantastic job as Harriet Tubman in Underground) is a firefighter/paramedic. Scenes between sister-girls on the job being supportive and loving are much welcomed in comparison to the “we can’t get along” narrative usually shown. Cocoa Brown playing Carla Price, caretaker to 911 operator Abby Clark’s Mom, is much needed light heartedness in storylines so heavy. Rounding out 9-1-1’s cast are Peter Krause, Oliver Stark, Kenneth Choi and Connie Britton. 9-1-1 is created by 'American Horror Story' creator Ryan Murphy and had a record 15 million viewers tune in to the premiere episode. 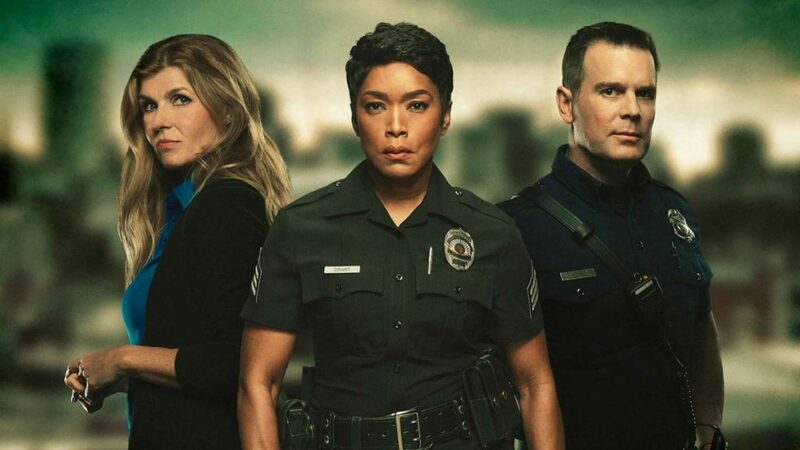 On January 16 it was announced that 9-1-1 had already been picked up for season 2 after only 2 episodes. 9-1-1 airs on Wednesday nights at 9 PM on Fox. Have you checked out either of these shows?